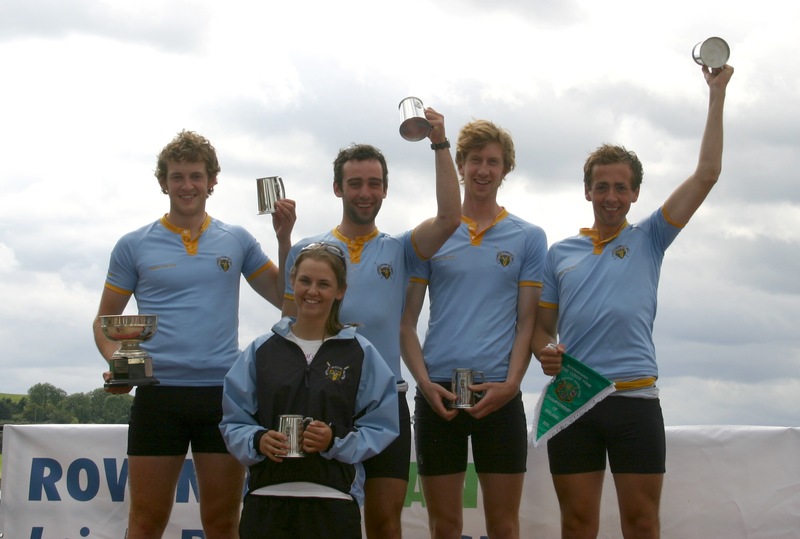 In a glorious weekend for UCD rowing, the club captured 6 National Titles to make it one of it’s most successful years ever. 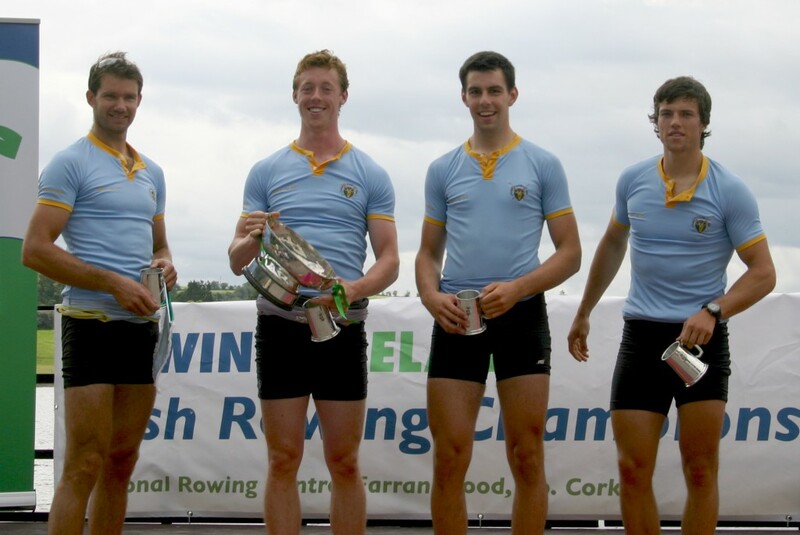 The trend was set on the first day with a great win in the Intermediate 4+ (Peter Grogan, Colm Pierce, Simon Craven and Emmett Feeley). This was followed by a brilliant win in the Sen 4- over NUIG/Grainne Mhaoil to reverse the result of the Henley clash a few weeks earlier. (Sean Jacob, Gearoid Duane, Finbar Manning and David Neale). Not to be outdone, Anthony English finished the day with a great win in the Lwt Sculls. 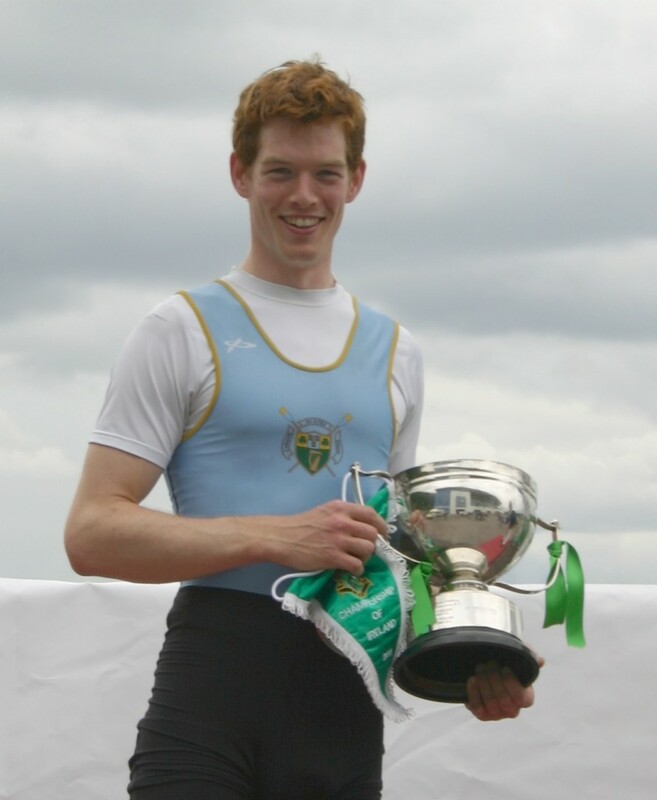 On day 2 the success continued with a fine win by Anthony English in Intermediate Sculls. Following excellent racing conditions on Thursday and Friday, Saturday saw rain and most notably a strong tailwind, which does not tend to favour big, heavy crews such as UCD. However, the crew were never deflected from the task at hand. They led from the start and pushed further ahead at 500m opening up a ½ length lead. NUIG slipped back at this stage. At the half way UCD were ¾ of a length in the lead and held this position for the remainder of the race. Queens couldn’t live with UCD’s power and speed and fell back. While NUIG took up the challenge again, they were not able to make much of an impression on UCD who went on to win in a time of 5:39 some 3 seconds ahead of NUIG, 6 seconds ahead of Queens and 29 seconds ahead of Trinity. 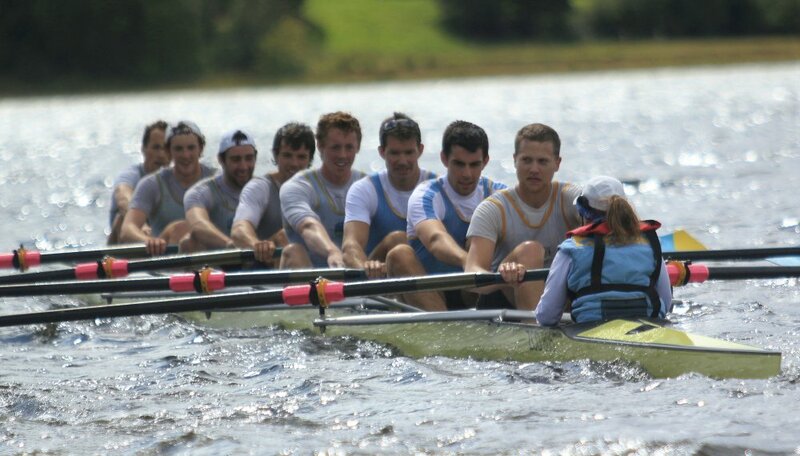 The Senior Men’s VIII crew: stroke Tom Doyle, Gearoid Duane, Sean Jacob, Finbar Manning, David Neale, Colm Pierce (captain), Peter Grogan, Simon Craven, cox Jennie Lynch, and coach Pat McDonagh. 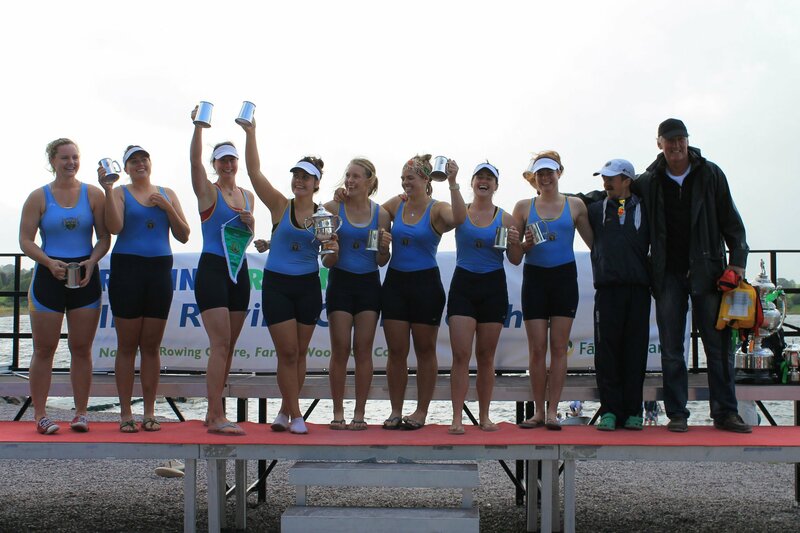 The Women’s VIII crew: C Tanner, Karen Joy, Claire Ni Reachtagain, Naomi Fearon, Siofra Bennett, Laura Gannon, Laura Reid, A Gilligan and cox Eoin Craven. Congratulations to all of the crews and coaches and committee members who have have been building up to this over the last 4 years. This entry was posted in UCDBC, UCDLBC and tagged 2011 by jameskelly. Bookmark the permalink.